Still Waiting On Your Levaquin Settlement? Levaquin (generic name levofloxacin) is an antibiotic classed as a fluoroquinolone. Used to treat bacterial infections such as bronchitis, pneumonia, and gonorrhea, it can also have some serious risks for users. Since 2008, the FDA has required Levaquin to carry a boxed warning of an increased risk of tendon ruptures with its use. Tendons are fibrous tissue that connects muscle to bone in the body. Made of collagen, tendons work with muscles to move bones and facilitate motion. Levaquin can weaken tendons causing them to tear. Major tendons like the Achilles tendon, the shoulder rotator cuff tendon, and the tendons attached to the knee are most commonly ruptured. Runners, weightlifters, athletes, and anyone who may be very physically active are most at risk. A tendon rupture (also called tendinitis) is a serious injury. It can lead to surgery and a lengthy rehabilitation period. The professionals at Pravati Capital understand how difficult it is to determine which attorney is best suited to fight your case against the makers of Levaquin. That’s why we’ve taken the work out of attorney selection and have developed a vast network of legal representatives with various specializations. 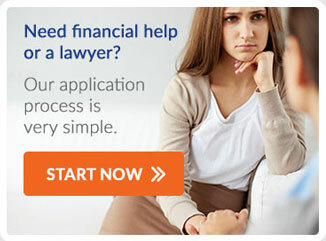 We can review your case and match you to the perfect lawyer. In addition, we can arrange for you to receive litigation financing that ensures you’ll be able to meet your financial responsibilities before you’ve reached a settlement. Contact us today to discover all the ways we can help make your life easier by letting us help those who need pre funding for there levaquin lawsuit settlements. If you believe that you are experiencing side effects from taking Levaquin, discontinue use and immediately see your doctor for diagnosis.